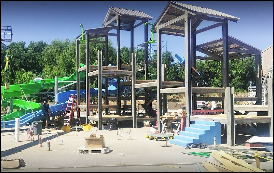 While we just recently featured Bay Area Underpinning, this week’s Featured Job Friday had to be about a job that Bay Area Underpinning did for Yogi Bear’s Jellystone Park in Lodi, CA. It was a pretty amazing job that we just had to share. 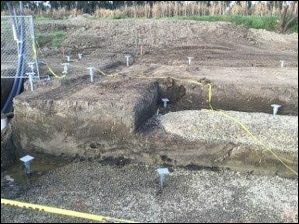 Helical piles were specified for two attractions found at the camping park. The Lazy River and the Water Zone attractions needed helical piles because the park sits below sea level and has a very high water table. Engineers reviewed the site and there was a preliminary design done by the team at ECP. A 2.875″ diameter shaft was the chosen solution for this project. The lead sections consist of a 12″- 14″-“14 flight configuration. The helicals were installed to an average depth of 27 feet. Torque values were in the range of 6,000 up to 8,000 ft. lbs. to satisfy the ultimate loads of 40 to 60 kips. A kip is equal to 1000 pounds-force. 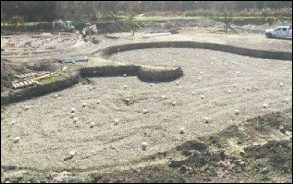 After installation was complete, the piles were cut to the required elevations and then they were capped with tension caps supplied by ECP. The job required 159 piles based on the original scope of the project. Bay Area Underpinning arrived on the job site on what happened to be a day after quite a bit of rain. It was wet and muddy and hard conditions to work in, but general contractor had a crew lay down drock in front of the Bay Area Underpinninig team so that they had a stable surface to do their work. Weather cleared and this allowed the ground to dry and the job to move forward without any further issue and only minimal delay. 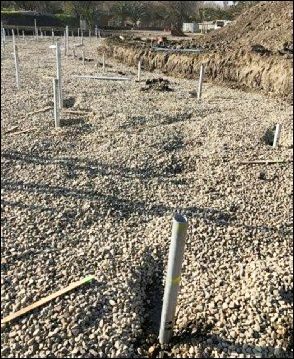 The park’s engineering parnters requested an additional 50 helical piles to be installed in another section of the park. 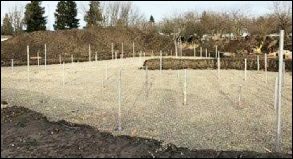 So the ECP team and the Bay Area Underpinning team were able to coordinate this update to the project and additional piles were shipped and installed with no delay to the overall project. This is what we call great teamwork with everyone involved. Sometimes nature throws you a curveball and the scope of the project changes, but Bay Area Underpinning was able to roll with the punches and produce a great result. Way to go team BAU! 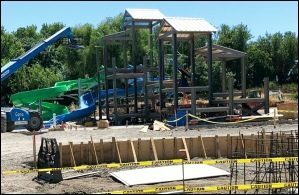 The Yogi Bear’s Jellystone Park Water Zone and 127,000 gallon Lazy River are scheduled to open in the Summer of 2018. This job was recently featured in the great online publication Helical Pile World, thanks for the feature Helical Pile World!